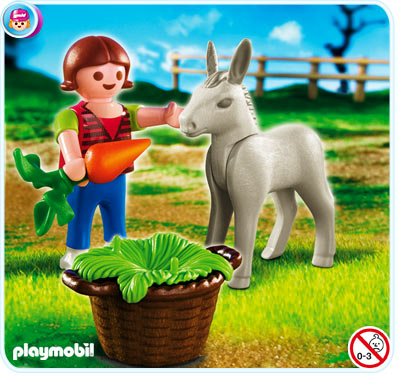 Help the Playmobil girl care for the donkey foal. Set includes a figure, donkey foal, basket, and other accessories. Play with this set alone or combine it with other Playmobil sets. Recommended for ages four and up.